The 2019 FIM Motocamp will be held at Nestorion in Western Macedonia, Northern Greece, close to the Albanian border. 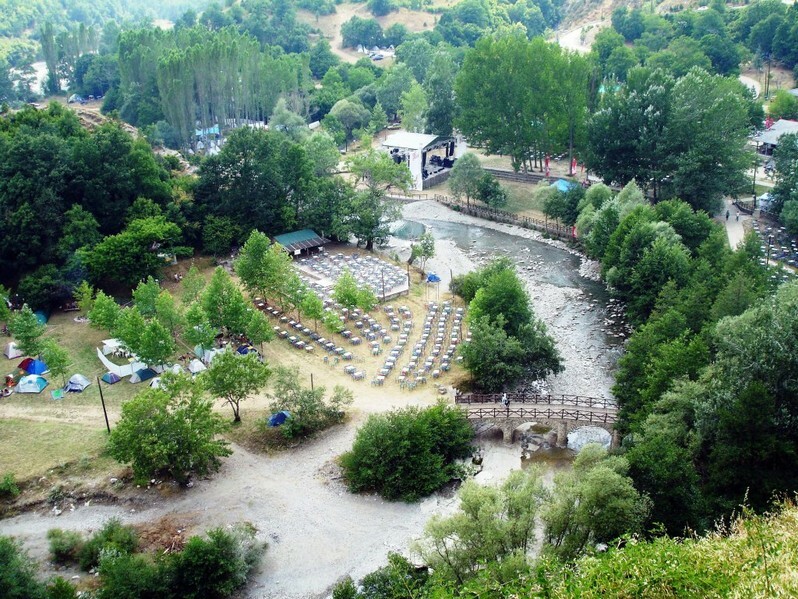 The venue is an established camp site on the banks of the Aliakmon river. The official dates for the rally are from 19th to 22nd June, however the site will be open from midday on Monday 17th June and optional excursions for the early arrivals will take place on Tuesday 18th & Wednesday 19th with ride outs to the Pindos Mountains and the Brown Bear Sanctuary & Grey Wolf Shelter. The official programme takes place from Wednesday 19th to Friday 21st & the event closes after breakfast on Saturday 22nd. The ride down to Greece offers some interesting choices of route going South through the Balkans, however for those who want to save time or mileage Nestorion is only 129 miles from the port of Igoumenitsa in Northern Greece with regular ferries to/from Ancona & Venice in Northern Italy. The organiser has arranged special rates on the ferries with ferrytraveller.gr, to book your tickets, contact sales@ferrytraveller.gr indicating "FIM-Motocamp2019"
The forms may look intimidating to start with, but completion is quite straight forward. To start with, unless you are taking more than one passenger don’t bother to print page 2, it’s only for those taking 2 or more passengers. Two copies of the forms need to be completed, one you send in to the address below together with your payment, cheque to be made out to the Auto Cycle Union, the second set of forms you retain and take with you to the rally. At the top of the forms, in the 1st box write “ACU” & leave the 2nd box Serial Number, blank. The rest of the form, completing your personal details & those of your passenger if you have one should be straight forward, your email & postal address are important in case we need to contact you regarding your entry whilst a person to contact at home could be important if you have an accident or suffer illness whilst at the rally. Your bike details are also important as they will be used on your ID tag at the rally to ensure it only leaves the site with the right rider. On the bottom section of the form please indicate the dates on which you will arrive & leave the rally (important for arranging catering & other facilities) and tick camping (unless you have made alternative arrangements). On the Accommodation Form, again enter ACU & your name & then enter your intended arrival and departure dates. Your entry fee covers camping for the 3 official days of the rally, 19th – 21st June, if you are arriving early you (& your passenger) will have to pay for the additional nights camping. Please also indicate if you (& your passenger) wish to take part in either of the optional excursions on offer. Finally sign & date the forms & if you are a member of or are a member of a club affiliated to the ACU or BMF tick Yes, otherwise tick No. Prepare a cheque made out to the Auto Cycle Union (it may help to enclose a slip to show how your payment is made up) & retain one set of forms, you’ll need them when you arrive at the rally, and send the other set with your cheque to the address below. If you have any queries about any of the above or other aspects regarding Motocamp I can be contacted at keith.freak@waitrose.com. I hope to see you in Greece where I will be acting as the National Delegate for the British team.